Individuals and families who want to find the best mortgage option have many factors to consider. The housing market has many different types of mortgages or home loans that are available. Borrowers will need to determine which one will meet their needs and to see if they qualify. Finding the best mortgage option will require staying on top of various loan requirements and mortgage rates. The purchase of a new home will require more people to obtain a mortgage. 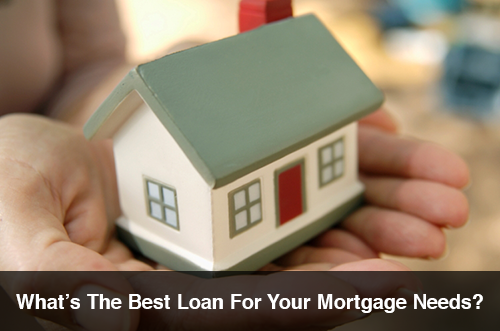 However, finding the right home will depend on the loan limit for a mortgage. This is an option for people who are expecting that their local loan limit will be smaller than the size of loan that is expected. A standard loan backed by Fannie Mae of Freddie Mac are known as confirming loans. They require a borrower to make a down payment of 20 percent or more. Borrowers must also have a credit score that is 740 or greater. Some loans can be obtained with a down payment of five percent up to 20 percent. A borrower will need to check with their lender for more information. A veteran of military personnel on active duty can apply of this mortgage. This is a good option for the person or family who cannot afford a 20 percent down payment. A down payment can be less than five percent. Borrowers will need a credit score of at least 700 to qualify for this loan. Individuals earning a modest income and live in a rural area or a neighborhood that does not have a lot of people may qualify for a USDA mortgage. This type of mortgage will good credit history and credit score over 680. Fist-time home buyers who so not have enough for a 20 percent down payment will often need to get a mortgage backed by the FHA. This is often the best option for home buyers who want to purchase a home for under $250,000. Individuals need to have a credit score above 680 to qualify for this mortgage. Homes are often a modest one-unit dwelling. This is the best route for a first-time home purchase. The monthly payments for a mortgage loan are based on current mortgage rates. Another thing to think about is the choice of a 15-year mortgage or a 30-year mortgage.